My children love pizza. 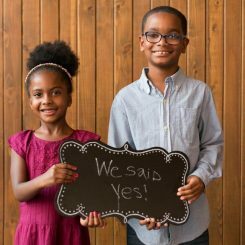 If I’d let them, they’d eat pizza for breakfast, lunch and dinner. However, because I care about their health and wellbeing, I limit their pizza intake. 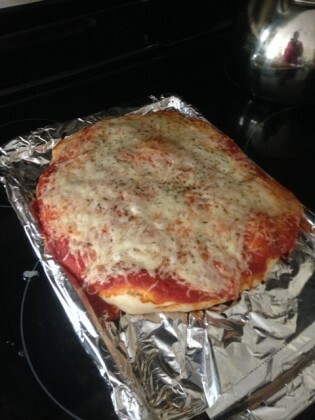 When I lived in Maryland, we frequently ate the Wegman’s fresh, ready-made pizza. All you have to do is pop it in the oven. Since there is no Wegman’s in the south, I’ve been buying Whole Food’s fresh pizza. Both stores make great pizzas, but the closest Whole Foods to me is 20 minutes away. 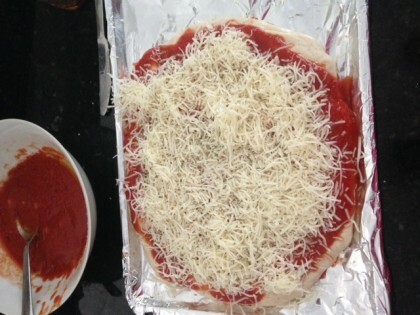 I don’t want to buy frozen pizza or delivery pizza because of the sodium content, so I decided to make my own pizza. I think it’s a great alternative if you want to control what goes into your children’s food. Here’s how it turned out! 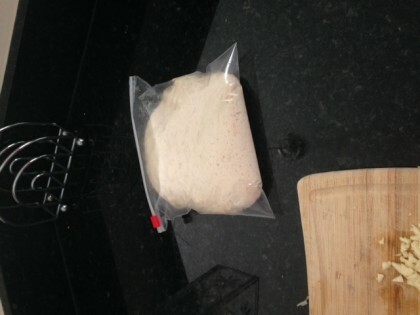 My homemade dough. I let it rise for 35 minutes. 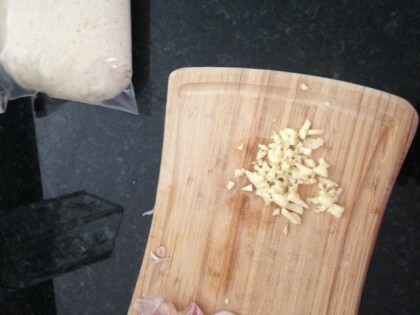 I chopped up some garlic for my garlic, butter sauce. 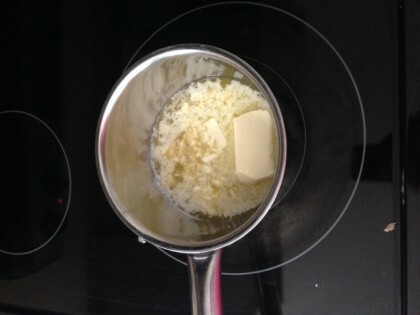 Fresh garlic, butter sauce. Watch out Papa John’s! 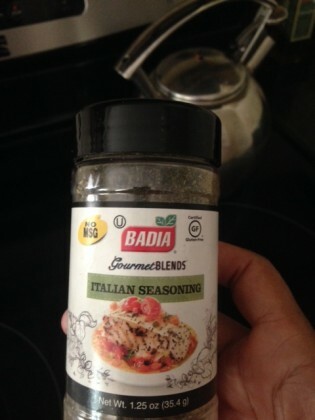 I added this Italian seasoning to my sauce. 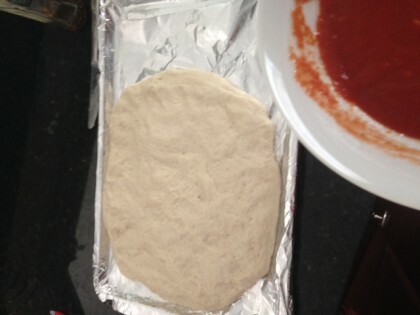 I kneaded and flattened my dough into the desired shape. 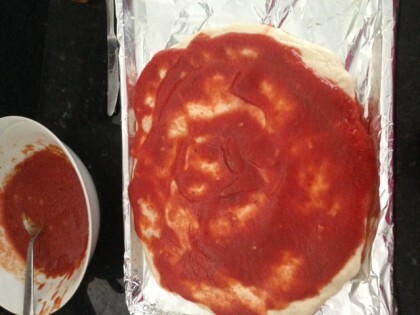 I spread the tomato sauce on the dough. I chose one that had only 10 mg of sodium in it! I added mozzarella cheese and a five-Italian cheese blend. Here’s the final product. The kids loved it! I think I’m going to go the homemade route from now on! What are some recipes you’ve tried with your little ones?